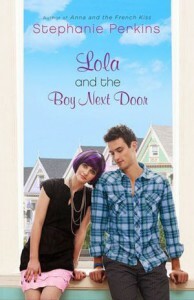 After the release of Anna And The French Kiss and all the rave reviews I was nervous to buy Lola And The Boy Next Door. We all know how viciously disappointedly the hype monster can be, so I waited a few months. Just to see if the hype would die down and it didn’t. Almost every review I’ve seen was raving, so I broke down and bought it. I must say I’m pleasantly surprised. Stephanie Perkins is a masterful storyteller that wove a story about real life situations that could be anyone of her readers life which made it interesting watching these characters fall in love while wrestling with their identities. The characters in this book were amazing, with the right balance of whimsy. Three dimensional and fully developed with their own distinct voices. Their interactions with one another is realistic and grounded in reality. 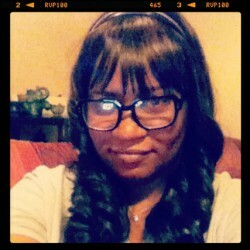 The plot was beautifully written I found myself able to relate to some situations. I really don’t have much bad things to say about this book if you’ve read all the reviews you’ll know how awesome a writer Stephanie Perkins is. As much as I loved Lola’s character she got on my nerves a little my one pet peeve was how she treated Cricket it was so obvious how much he was in love with her it wasn’t funny. I know she suffered a lot because of her biological parents and having gay parents in neighborhood of nuclear families wasn’t easy it made her weary. Especially after the misunderstanding between Cricket and Lola that lead to their rift. Lola had admit to herself that feelings she thought she had buried for Cricket were very much alive then decide if she deserved it. This story was so beautiful and touching. I’m not much for romantic fiction but this one got to me and made me a fan Stephanie Perkins.